Capacity: 3,100 to 3,600 gallons. Equipped with 21.5 x 16.1 flotation tires running on 3'' stress-proof axles and 10, 000 lb hubs. 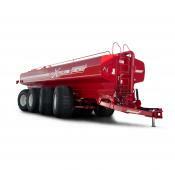 The walking beam suspension smoothly carries the tanker's weight and distributes just the right load to your tractor. 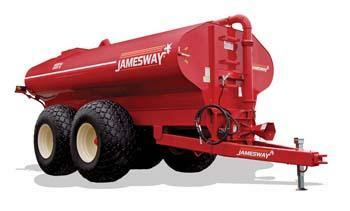 Jamesway SD models are equipped with automotive-style16'' brake discs and callipers. Capacity: 3,600 to 4,600 gallons. Heavy Duty Tankers are built for the bigger loads. The open-type walking beam is offset 60/40 for proper load balance. The Tanker's undercarriage uses 4'' stress-proof axles and 16, 000 lb hubs with a choice of tire sizes: 18.4 x 26, 23.1 x 26 and 28 Lx 26. 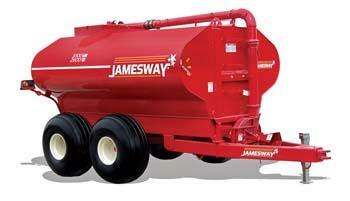 Jamesway HD models are equipped with the same massive Industrial brakes found on our largest tankers. Capacity: 3,600 to 5,600 gallons. The full-length independent trailer means that the towing forces are not carried by the tank body. The tank may be easily repositioned to adjust the hitch load when injectors are added. Tandem undercarriages run on a simple walking beam suspension that divides the load 60/40 on the tires and the same massive Industrial Brakes used on Commercial Series tankers provide plenty of stopping power. Choose from 23.1 x 26 or 28L 26 standard tires, or 800/45 x 26.5 flotation tires for sensitive soils. Capacity: 4,000 to 10,200 gallons. 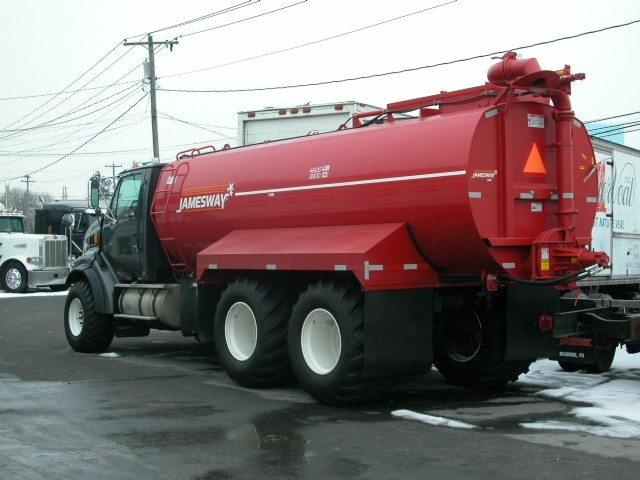 MAXX-TRAC spreader tanks are equipped with High-Output Series impellers so you can unload in record time. The proven oil bath bearing chamber delivers maximum reliability. Choose 6" or 8" discharge system. 4-piston brake calipers provide far larger brake pads than the industry standard. The proven oil bath bearing chamber delivers maximum reliability. Four standard sizes: 3600, 4100, 4600 and 5100 gallon. Hydraulic motor drive on pump. 1/4" alloy steel tank construction. Front or rear mounted impeller. 3 bolt hinged impeller door. Top access ladder on drivers side.